Jolt Fall 2010: Everyone Will Totes Be Jeal! 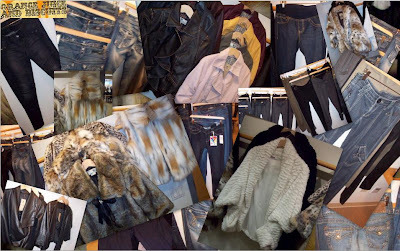 I recently went to the Jolt showroom to see their Fall 2010 line! I love how Jolt has really taken clothes for the younger demo up a notch! I totally remember getting dressed up everyday for school. I figured it was the only place I was going to be so I might as well look fresh to death, right? Let's start with jeans. Now the right pair of fly jeans can really take you places. Jolt has some really cool jeans and jeggings, that's leggings that look like jeans. Some of you may be opposed to jeggings but they are totally acceptable for teenage girls. (Don't hate cause you can't rock them!) The great thing about jeans is that you can dress them up or down depending on how fly you need slash want to be that day. My niece is in high school and just turned 17. You know they wear heels to school these days right? Back in my day girls thought it was cute to wear flip flops with EVERYTHING! (Accept for my friend Ashley E. who wore heels everyday) I tried to tell them it was not cute but they wouldn't listen! Remember flip flop heels?! YIKES! Above: An entire wall of great denim by Jolt! Another cool thing that Jolt is doing for Fall 2010 is some really awesome ruffle front jackets that have inspiration from the Vince 2010 line. Above: Ruffle front jackets that will put you ahead of the class! 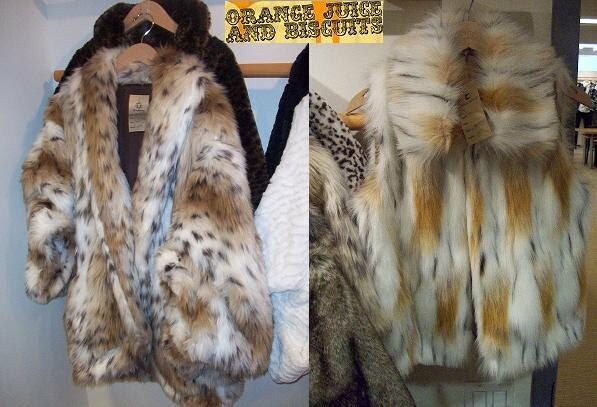 My favorite thing that Jolt has for Fall '10 is the incredible faux fur jackets and vests. My first reaction was that I would love to see the girl who was fierce enough to rock a faux fur to 5th period. I think that the faux fur vest are all kinds of awesome. You can rock your inner Rachel Zoe while you're taking your biology test. Above: "Girl I gotta run back to Miss Teachalot's classroom cause I think I left my fur during 2nd period!" Any and all of these pieces would work if you are trying to win best dressed next year or you simply want to put your best foot forward. I was told that some find it helpful to dress nice on test days because they often do better! I always say if you look good then you feel good, which always leads to doing a better job! Thanks Jolt for showing OJ&B around the showroom! See you next time! Have a great summer and don't ever change for ANYONE!